Hoverboards appeared out of nowhere in late 2014 in China, and by 2015, they were wildly popular in the United States. Their popularity can be attributed to their ultra-portability and ease of use. Many modern hoverboards come with LEDs and sharp designs for higher appeal. Hoverboards were first showcased at the Consumer Electronics Show in Las Vegas, in January 2015, where they were labelled as one of the coolest pieces of technology by CNN. Endorsements by celebrities propelled the hoverboard towards mass popularity. Many new manufacturers came into the market as the demand for hoverboards increased. 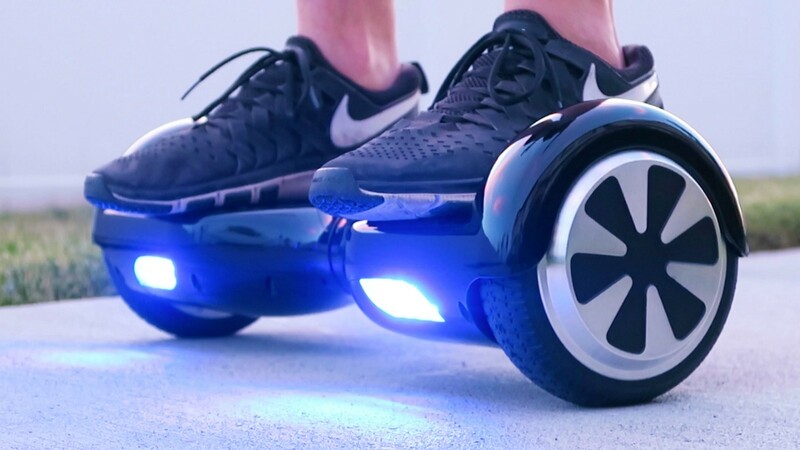 Swagway is one of the best-selling hoverboard-makers. Although the company is known for its extravagant hoverboards, many fancy alternatives to Swagway hoverboards are available in the market. It is the ‘brain’ of the hoverboard, which computes real time hoverboard data. It computes and controls all hoverboard aspects such as speed, wheel tilts, direction of wheel spin and LED indicators. Many hoverboards use a common logic board, known as the TaoTao logic board. It houses and controls different sensors like gyroscope and infrared sensors. Hoverboards that have different riding modes (Beginner, Sport and Expert modes) rely on the logic board to automatically control the power delivered to the wheels. It also prevents the wheels from randomly spinning when the hoverboard is in ‘locked’ mode. These two tiny sensors balance the board on two wheels. They rely on the information provided by the logic board, and determine to what extent the rider has tilted forward/backward, and work to cancel the effects of the tilt, thereby keeping the hoverboard balanced and upright. These sensors make it possible for the user to control the hoverboard. Pressure pads are mounted over a pair of switches; when the rider applies pressure on the pads, the switches are pushed down, which in turn controls the light transmitted from the infrared LED to the sensors. Commands are thus transmitted to the logic board and depending on the direction of foot pressure, the hoverboard moves or stay still. Each of the two wheels have electric motors inside them, which are accompanied by a tilt sensor and speed sensor each. These sensors detect the revolutions per minute of the individual wheel and send information to the gyroscope and the speed control module in the logic board. The power delivery to the electric motor from the battery pack is controlled by the logic board. Every two-wheeled hoverboard, irrespective of the design is seen with a central pivot in the body frame. This is an important design element that connects both sides of the board together and acts as a hinge for foot pads.